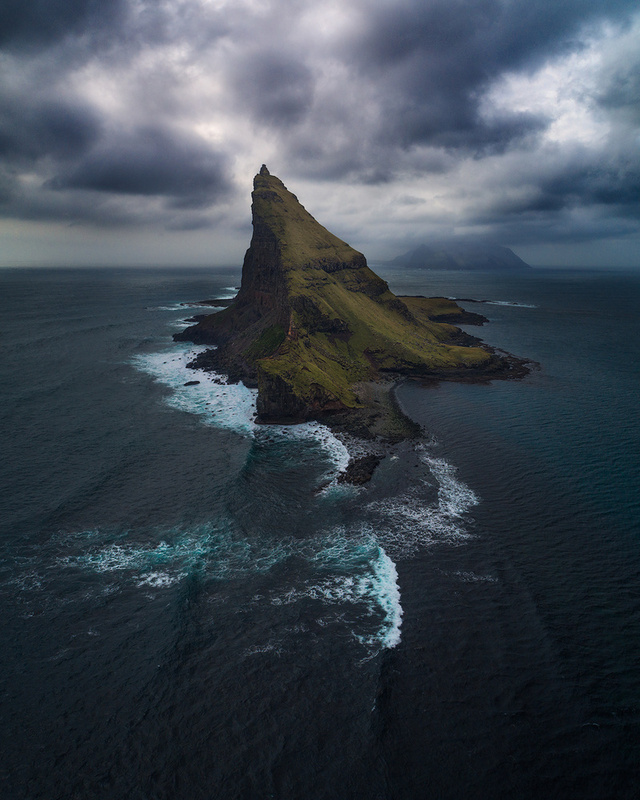 There are many epic sea stacks around the unspoiled Faroe Islands. Tindhólmur is one of them. Looks like some sort of sea monster fin, right? This is a 4 piece vertical panorama done with my trusted Phantom 4 Pro. I have a love-hate relationship with that drone, but it was all love during this capture. Awesome shot! Love those tones.